It’s been a sad week in Hollywood. First we lost the beloved and hilarious Mary Tyler Moore. And now, we’ve lost another great actor. 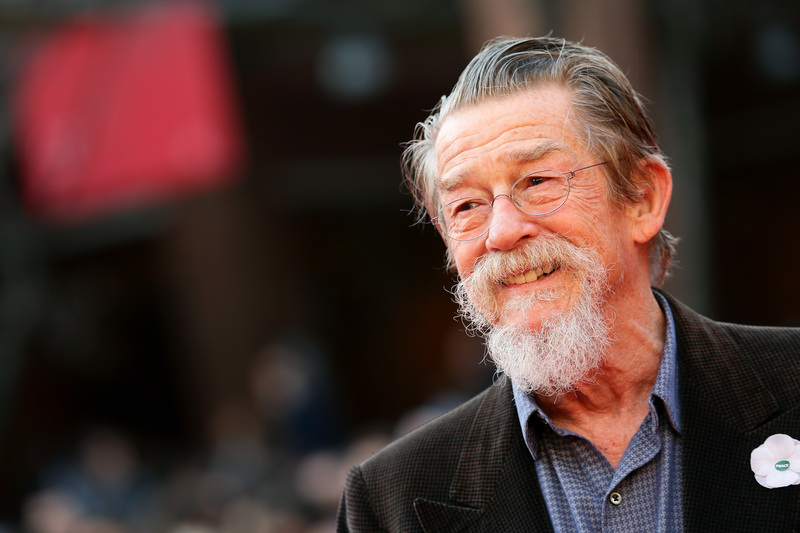 Harry Potter star Sir John Hurt has died at the age of 77. The legendary actor is survived by his wife, Anwen Rees-Myers, to whom he was married since 2005. Our thoughts are with her and the rest of their family and friends. Hurt has been acting for over 50 years. He was best known for his role as Ollivander in Harry Potter. But he also had roles in V for Vendetta, Alien, Hellboy and Tinker Tailor Soldier Spy. And, most recently, he played the priest in Jackie. And, he was nominated for two Academy Awards for his role as John Merrick in David Lynch’s 1980 biopic, The Elephant Man, and 1978’s Midnight Express. Not only did Hurt have an impressive acting career, he was also knighted by Queen Elizabeth II in 2015. So basically he was the coolest of the cool. Hurt revealed that he had been diagnosed with pancreatic cancer in the summer of 2015. But, in the fall of 2015, he announced that he was in remission. During that time, he spoke candidly about his mortality in an interview with Radio Times. Even though he lived 77 years, it still feels like Hurt’s time on Earth was all too brief.